Outdoor Lifestyles is a landscape firm that specializes in customized design and installation of residential landscape projects. Managing all aspects of the project from landscape design to construction and maintenance, Outdoor Lifestyles is well versed in making your vision into a reality. Through unparalleled designs, craftsmanship and passion, your backyard will be the destination of choice for all your friends and family. Being a family business from the start, Mike Chlebo – now owner- started working with the company in 1997. Involved in all aspects of the business, starting from the initial build or design, to the finished masterpiece, Chlebo knows how to successfully deliver a seamless and top quality project to his customers. “Seeing a customer’s wish list, and existing property and being able to completely transform it into their dream backyard is extremely rewarding” states Chelbo. It’s his passion for the outdoors, as well as building new relationships that drives his dedication for producing the utmost quality for every one of Outdoor Lifestyle’s clients. Envision Landscapes was formed in 2011 by Dave and Matt Van Andel. Together, these two brothers bring over two decades experience in landscape construction and maintenance. As twins, Dave and Matt share a cooperative spirit, which lies at the core of their partnership. Together, they bring you a commitment to integrity, honesty and quality work, and an ambition to perform beyond your expectations. Dave’s proven passion for landscape construction is evident in his impressive track record. His knowledge and leadership have served well across a diverse array of projects throughout his landscaping career. His expertise is especially strong in interlock installations, water features, wood working, and green roofs. Dave studied at Landscape Ontario, completed a Horticultural Technician apprenticeship, and attained Red Seal certification. He is really looking forward to installing your patio. Matt is the Envision Landscapes sales guy. Matt deals with the majority of sales as well as with ongoing customer communication. He works hand in hand with the customer throughout the planning and design stage to plan your dream project with you. He has worked over 10 years in the landscaping industry, with most of that time spent doing grounds maintenance. His commitment to exceptional service and quality there was especially evident in his work on the organic lawn care program. Matt holds diplomas in both marketing and business administration from Mohawk College. He looks forward to keeping your landscapes looking sharp for the long haul. PLAN A is a full-service design and build company specializing in residential additions & renovations in Toronto. We have experience with all types projects, particularly those involving older homes so common in Toronto’s more established neighbourhoods. We pride ourselves on our ability to provide a combination of intelligent space planning and elegant design while drastically simplifying the planning and building process for our clients. We can handle your entire job or any portion of it from pre-planning and design right through to project completion. We are a landscape design, contracting and maintenance firm, specializing in urban design/build projects. We are an award winning design/build firm with creative, dependable staff and high end customer service protocols. DESIGN BUILD TRANSFORM. Landscape design and installation. Seasonal container fills. Flowers for events and holiday decor. BEST OF HOUZZ DESIGN 2013. BEST OF HOUZZ SERVICE 2014, 2015, 2016, 2017, 2018 & 2019. Arbordale is a design and build landscape construction company that has been creating dream landscapes for our clients since 1981. We are a full-service landscape company taking our clients projects from conceptual design through to completion. 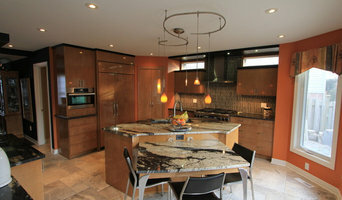 We offer creative design, quality craftsmanship and service that is unmatched in the industry. We pride ourselves on our work to beautify the city of Toronto, and plan on doing so for a long time to come. Arbordale was founded by Bob and Mitzi Tubby after they graduated from Humber College in the Landscape Technician program. It is now in its second generation as their son Blake has taken over after graduating from the same program. Blake is a Certified Landscape Designer and takes care of all daily operations including design, estimating and project management. Arbordale specializes in all sizes and styles of landscape construction from large to small and traditional to modern. We have all the right people to make any project come together flawlessly. Arbordale is located near Highway 7 and Keele St, allowing us to easily service Toronto, the GTA and surrounding areas. We have been active members of Landscape Ontario since 1982. Modern Landscape Design. 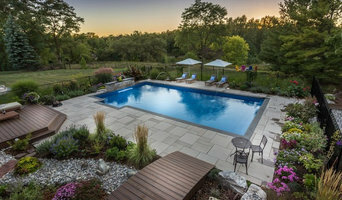 Toronto's premier modern landscaping company. Your modern lifestyle, outdoors. Creating usable, functional and refined environments with a modern aesthetic. 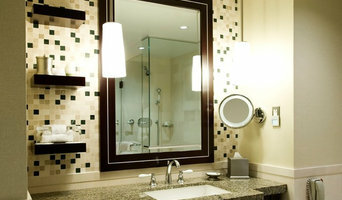 Green Apple offers a complete residential landscape design and build service in Toronto (GTA). With over 30 years of landscaping experience and a portfolio of award-winning gardens, we are dedicated and passionate about creating the perfect garden for our clients. We are now pleased to include three dimensional (3D) plans as part of our design process. This is in addition to our standard two dimensional (2D) plans. The 3D plans provide you with the opportunity to visualize your landscape makeover in with photorealistic 3D pictures of your designed landscape and actually see what your landscaping will look like before it is built! GTA's Kitchen & Interior Design Boutique Firm Best of Houzz Award Winner for 2019, 2018, 2017 Tango Design Studio is a boutique firm specializing in the design, supply and installation of custom kitchen and bath cabinetry as well as cabinets for other areas of your home. We also offer full interior design services for both small and large scale residential projects. Featured regularly on the hit TV shows LOVE IT OR LIST IT, LOVE IT OR LIST IT VACATION HOMES, and recently on PROPERTY BROTHERS - BUYING & SELLING, we have developed a reputation for our unique designs and ability to solve space problems with ease and we realize how important it is to get the job done on time and on budget. We love what we do and we bring enthusiasm and commitment to every project we work on. Our Integrity, quality and workmanship, fair costs, being on time and on budget are all the many reasons we’ve had a long term relationship with the show and continue to do so! Now, that is something to be proud of. Zzone Homes is a full-service interior home design, build & renovations company that was Established in 2005. Servicing the Burlington, Oakville, Hamilton and Niagara Area. Zzone Homes employees all the professionals and trades needed to complete any residential or commercial renovation project without having to sub-contract or outsource to our companies. 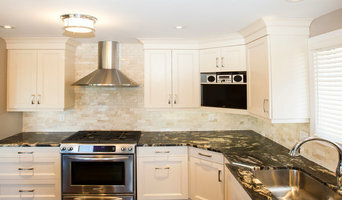 Zzone Homes also has a custom cabinetry division called Sharp Cabinetry that is also featured here on HOUZZ. Every project also has a dedicated project manager as well as a design and build specialist that will help with every step of the way in any renovation project. OUR PROCESS: 1. We start by coming to your home for a no fee in home design and build consultation with a renovation specialist. During this visit, we will gather as many of your ideas as possible in order to really capture your style and vision. We will also laser measure the space and create an accurate layout. 2. We then take your measurements and ideas back to our digital design centre and get to work on your complimentary photo realistic 3/D Design and detailed proposal for the project. 3. After completing the design and build package we then invite you back to our showroom for a presentation. At this point, we can easily adjust or modify the design and scope of work in real time. This allows all of our client to see exactly what they are going to get before you make any commitments.